My father helped invent and develop the life-support systems (cardiopulmonary bypass, or heart-lung machines) that are used for open-heart surgery and transplantation. In the locker room at the gym tonight, I overheard a woman recounting the experience of having a loved one wait for and eventually receive a heart transplant. Felt so much pride and joy as I realized the fears she remembered and related to her friend had only to do with wondering if he would get a donor heart, and if his body would reject it. NOT about whether he might die on the table during a surgery where his heart was stopped and removed from his chest. I remember so clearly how dad extended his engineering education to include hydraulics and hematology as well as specific material chemistry in order to reduce the damage to the blood caused by mechanical pumping and oxygenation to within acceptable limits. He also learned how to do 3D modeling on the computer and rapid prototyping with a programmable milling machine in step with developing technology. He attended surgery and interviewed surgeons and perfusionists to improve the design of the whole system and interface. His experience convinced me that the best career is one in which you are constantly learning and challenging yourself. Talk about work you put your heart into. So proud of you, Dad. 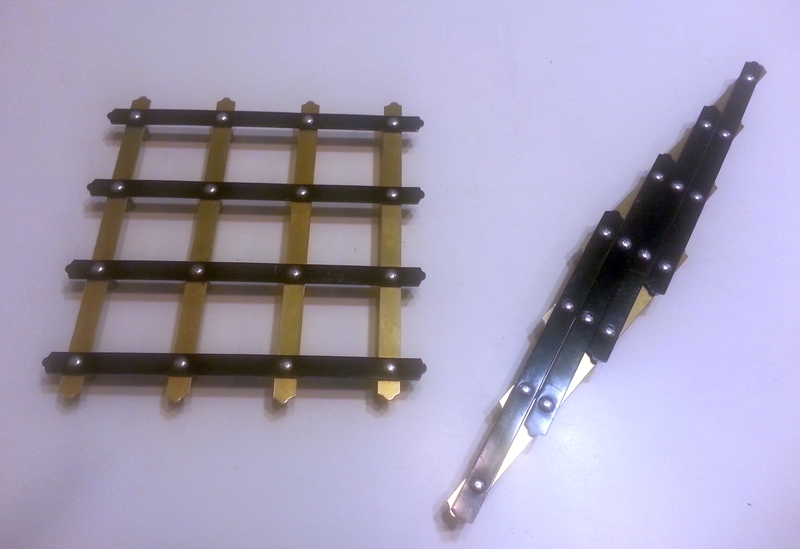 They are quite lightweight and take up very little space in the drawer, yet they are very sturdy and the rubber feet and metal top makes them a good trivet - stands high heat well, and insulates it from the counter or table. They can also support a fair amount of weight. And you can shake the trivet out from compressed to expanded with one hand. 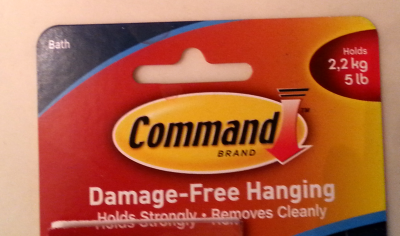 Brian and I have moved many times in the past five years, and each time we seem to accumulate more hooks and things that use 3M command strips -- these fabulous strips of sticky material that holds well yet lets go when it is stretched. They have a whole line of these that are water resistant, for both the bath and outdoors. When we were in Ypsi, we had a shower/tub enclosure that was short on places to hang things, so Brian got some big 3M Command hooks to hang our washcloths on. Moving here, we had a hard time finding the refills that were for the bath and the right size, but it turns out Amazon.com carries them as an add-on, meaning shipping is free if you're ordering something else. I should probably buy more in anticipation of our *next* move. You can recognize them by the blue bath indicator in the upper left-hand corner. While I was shopping for those, I came across some very fancy looking almost-chrome-looking hooks at Target, and picked them up for hanging our washcloths on in *this* house's shower stall, which is separate from the tub and short on both hanging places and space in general. We used another old one with a simpler hook to hang the back scrubber, and the squeegee I picked up to get the water off the door after showering also came with a Command Strip-fastened holder to put on the wall. We find that these work very well on tile. Sometimes less well on paint, which can get greasy in hot steamy weather, causing the hooks to fall off if they are loaded down. 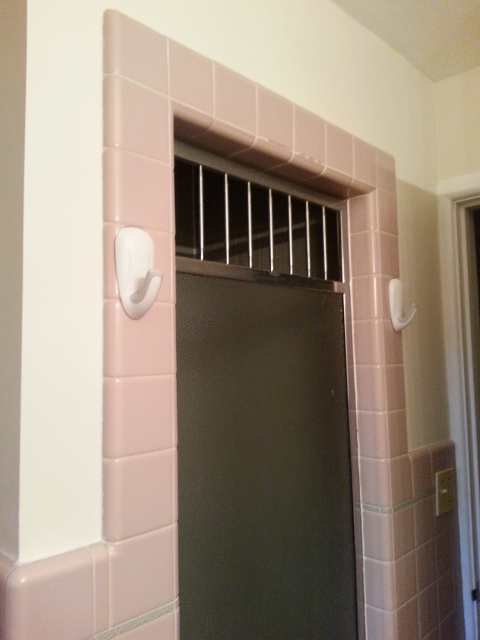 The big hooks we still had, we mounted on either side of the shower door on the outside, to hold the robe and (dry) towel of the person in the shower. I am not sure they could hold a wet towel. They hold about 5 lbs according to the packaging, but there are two strips under each hook. In any case there are lots of towel bars over the tub, they just aren't easy to reach, standing in the shower stall. I think these big hooks look pretty snazzy, and they are high enough that I don't run into them though I suppose a really tall person might. 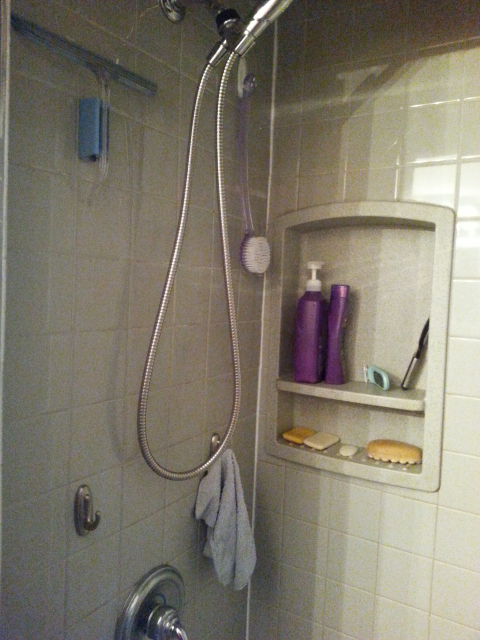 Anyway, they are convenient for us, and the ones inside the shower really improve the usability of the space. Thanks, 3M! Please keep producing the refills for these! In the Fall of 1993 I had the honor and the pleasure of studying Theatrical Design under Pip Gordon, probably the single best teacher I have ever had. If I could have done a theater major without having to take acting classes under a prof I couldn't stand, I would have done it. Instead, I took all the classes Pip taught and worked under her for two years while majoring in physics. Pip was teaching at Grinnell temporarily when I first arrived at Grinnell, in the place of another prof who was on sabbatical. As the end of her time approached, we requested a meeting with the administration to argue for an additional full faculty position, basically to enable us to keep her there. The original space they offered for the meeting was too small for the huge group of people who had gathered, so we literally marched in the street (and over to the student forum), demonstrating our desire to keep her on. They approved the post, we did a nation-wide search and hired Pip. I was just going through some stuff my parents had stored for me that they gave me last year when we moved to New Mexico. In it was a huge yellowing pad of newsprint that were notes and sketches from that Theatrical Design class. I have kept a high quality sketchpad of homework sketches from the same class with me over the years, and had forgotten these notes from in-class work existed. They are mostly drawings. I thought I knew how to draw when I went to college, and then Pip taught me over again. So I just took apart that pad, taking pictures of the drawings, separating a pile of drawings worth saving from a (slightly larger) pile of ones I don't feel the need to keep. I'll take better pictures of my favorites tomorrow when the light is better, and now that I think of it, if I come across the other sketchpad as we pack for our move, I'll photograph that too, digital storage now being as plentiful as it is.